Stihl Battery Powered Equipment: Go green while maintaining all of your lawn and garden needs. Powerful battery powered equipment makes quick work of grass, leaves, lawn clippings, tree limbs, hedges, walkways and more. Maintain your lawn without the use of gas or oil. A battery powered chainsaw that can efficiently cut wood is now available from Stihl! The MSA160-C is a completely cordless saw that provides up to 40 minutes of continuous use on one charge. Cut through fallen limbs or carve up firewood with a powerful, battery powered saw from Stihl. Stihl’s BGA85 is the perfect battery powered blower for small lots, townhomes and commercial storefronts. The engine is powered by a 36-volt lithium ion battery that makes quick work of leaves, debris and trash. Starts with a simple push of a switch and you never have to worry about gas or oil. 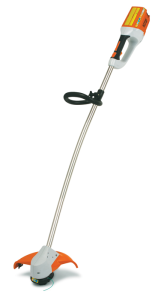 The FSA-65 is Stihl’s super quiet, super efficient string trimmer. Ideal for homeowners looking to trim their lawn without the use of gasoline powered equipment. 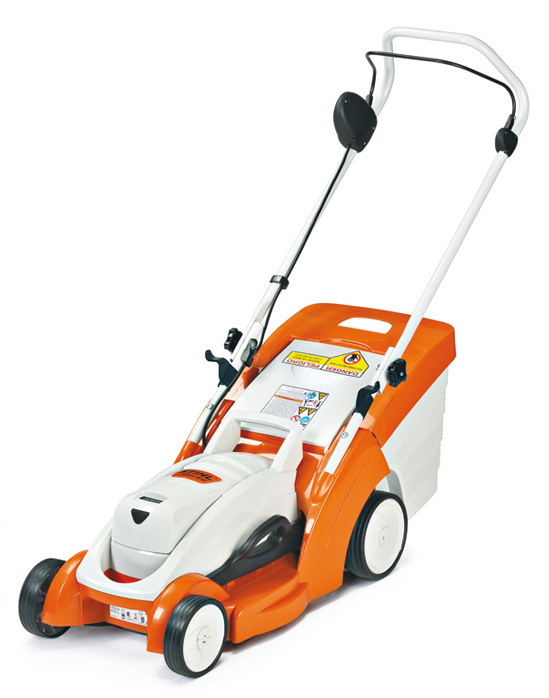 A lightweight design and trigger pull start up makes this the perfect no fuss lawn trimmer. Makes a great addition to the eco-friendly home owner. Got tough shrubs to tackle but don’t want the hassle of gasoline powered equipment? Then the HSA-66 battery powered hedge trimmer from Stihl is your answer. For the eco-conscious consumer, the battery powered line up of outdoor equipment makes the perfect sense. The HSA-66 is Stihl’s residential grade hedge shear. Make quick work of thick, tough shrubbery around your house. Utilizes a 36-volt Lithium ion battery for exceptional power and performance. Stop by or give us a call at 301.326.1121 to discuss all of our battery powered Stihl equipment.